You’ve probably heard that kitchen and bathroom renovations are where it’s at when it comes to ROI, but tackling those projects shouldn’t be at the top of your to-do list. The most important projects to begin with are fixing anything broken, be it a doorbell or a leaking roof. While not as showy as marble countertops, these fixes will ultimately increase the value of your home and make it sell much faster. Many of these repairs make great DIY projects, but when it comes to projects like roof repairs, put away your ladder and leave it for professionals. Because of the serious issues surrounding inadequate roof maintenance (attic and ceiling damage, mold and mildew issues, health concerns, fire hazards, higher utility bills, and diminished structural integrity to name a few), you’ll want to take anything roof-related out of the DIY category! No matter how grand your house, you will not get top dollar for it if it’s filled with what others view as clutter. You want buyers to focus on how awesome your house is, not how cramped it looks with clothes and boxes piled up in your closets. Remove anything that detracts from your home’s wonderful features. 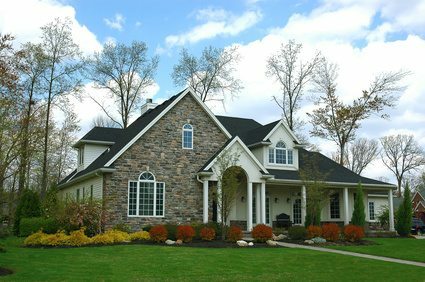 According to a survey of real estate brokers conducted by HomeGain, an investment of $400 or $500 in landscaping can bring a return of four times that. Next, paint your front door and make sure your house looks as clean as possible, right down to using your garden hose on the exterior of your house or a pressure washer if necessary. Check out the 2018 Houzz Kitchen Trends Study, where 1,734 homeowners provided information on kitchen renovation projects. Countertops are the top feature to splurge on, with quartz now beating out granite as the most popular material. Anything that brings organization to your kitchen is hot right now, from pull-out waste bins to utensil/dish organizers. Everybody is on the energy savings bandwagon these days as well, so the more energy-efficient appliances you have, the better chance you have selling your house at the price you want. If bathroom tubs and showers are looking dingy, consider re-grouting the tile and replacing any chipped tiles. Replace any dated wallpaper with a textured finish and replace old lighting. New flooring can make a huge difference, too. With kitchen and bathroom trends in mind, there are plenty of budget-friendly DIY projects such as painting kitchen cabinets or even transforming your old black dishwasher or other appliances into ones that look like stainless steel. Pinterest abounds with DIY home improvement projects (check out what a difference framing a standard bathroom mirror can make), and keep in mind that most hardware stores rent tools. Of course, the ultimate DIY project is to start painting! Nothing updates rooms and makes them look clean like a coat of fresh paint. Neutral colors appeal to as many tastes as possible. You’ll soon see your hard work pay off when you work with your realtor to establish a selling price. He or she will do a comparative market analysis (CMA) that will show the listing price of similar houses in your area as well as the prices at which the houses actually sold (or didn’t sell). Your realtor will also take into consideration your personal goal: Is it to get top dollar, or do you simply want to sell as quickly as possible? With a little time, imagination, and financial investment, you’ll soon have the house of someone else’s dreams, if not your own! You’ll find that the time and money you invested will come back to you with interest. Good luck and happy home improving! Whether you plan to buy or sell a home in the near future, please contact me with any questions you may have.